Book Review: Chiara Corbella Petrillo, Another St. Gianna? This review, by K.V. Turley, first appeared at Catholic Exchange and is reprinted here with permission. 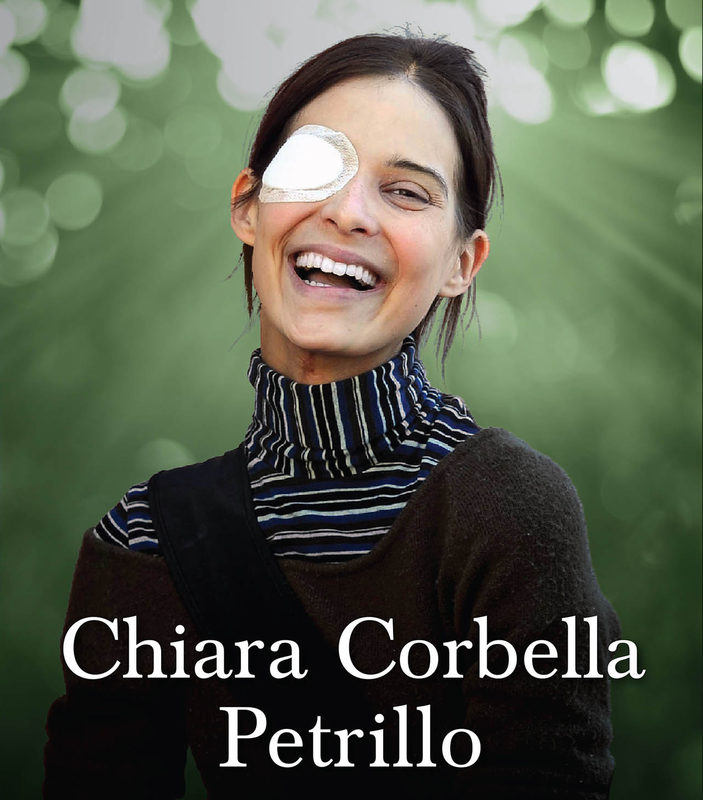 So starts a quite remarkable book: Chiara Corbella Petrillo: A Witness to Joy by Simone Troisi & Cristiana Paccini, just translated into English and published by Sophia Institute Press. Indeed, the publishers are to be commended for bringing the subject to a wider audience. This is especially so given what the book contains within its pages: a tale that manages to be contemporaneous as well as speaking of more ancient truths about the sorrows of the human condition. Those opening lines, quoted above, spoken by a husband in a room where his young wife entered into eternity, form part of a Preface. It is a meditation of sorts on what is to follow, as this is a book not simply for reading. Its emotional pull is too strong for that. Instead here is a book to be prayed over, revisited, underlined, pondered on, re-read. It is for mothers and fathers, and for those who have lost children, whether born or unborn. It is also for those thinking of marriage as a vocation. For all that it is a short book, just 160 pages; this is fitting for the brief life it records, but like that life the book has a depth that belies its length. For now, however, let us leave the bereaved husband standing in that room of memory and turn instead to a beginning, and a happier time. Their eyes met across a crowded hotel dining room. As in the best love stories, theirs was to be a chance meeting that both knew was somehow decisive. Both were visiting a Marian shrine, although they had travelled separately, he with a girlfriend. The latter had departed the scene by the time Enrico Petrillo was sitting in the room where he saw Chiara for the first time. And, as he did so, he noted two things. The first was that the only free seat in the room was beside him; the second was that she was the most beautiful woman he had ever set eyes on and already he felt it would take little to fall in love with her. She walked towards the empty seat and as she did so her eyes looked into his … and thus it began. The book is illustrated. The photographs are a welcome accompaniment to the text, not least as they reveal something of the natural beauty of this young Italian couple so obviously in love. Chiara was blessed with the looks of an Italian movie star; the bearded Enrico is handsome and manly. Nevertheless, what is also present as the photographs move chronologically is the recording in their faces of a mysterious transformation, one forged in suffering and in grace moving them from mere worldly attractiveness to one much more supernatural. As much as the written word these images form part of the testimony in these pages. They were married in September 2008. Soon after Chiara found she was pregnant. The newly weds were overjoyed. It was to be short-lived, however. An ultra sound scan revealed the child was deformed. ‘Of course, you will abort?’ the doctors asked. But, as Chiara looked back at the image of the helpless child, she was determined to continue with the pregnancy. Even if the child were to live but a short time, it would live nonetheless. for even half an hour, we were fine. and those little hands, and those little feet. I do not know how to tell you how proud we are of you. We accompanied you as far as we were able. Another pregnancy was soon to follow. There were complications again. The scans showed that the child in the womb was missing one leg and had a stump for another. Further scans showed the child had no kidneys and so as a consequence the lungs would not develop and there would be trouble breathing, the prognosis for survival was not good. Once more there was discussion with medical staff about whether to proceed with the pregnancy, to end the life of the child on screen who kicked and pushed for life. Again, the couple stood firm. And so, the pregnancy continued until eventually Davide Giovanni was born. When he came into the world his mother embraced him tenderly saying: ‘My son, my love’. Like his sister, Davide was baptised immediately by a waiting priest as his father placed a small wooden cross around his son’s neck, and then, also like his sister before him, was carried to the hospital mortuary by his father after barely more than 30 minutes of life. And yet, the couple could no more block the wellsprings of life than stop loving each other and so another pregnancy followed. Needless to say, those around them were trepidatious, even if the young couple were strangely serene. Nevertheless, as this child grew in Chiara’s womb something else was growing in her body. A tumour had been discovered on her tongue; soon it would spread, to the neck and to her eyes. Various treatments were proposed; she refused any that could endanger the life of her child, preferring to put them off until after the birth. When finally that moment came, the child, Francesco, came into the world healthy. His parents were beside themselves with happiness. Little was Chiara to know then, however, that as she ushered new life into the world her own was slowly ebbing away. For a short time after the birth, the couple, with their newborn, enjoyed something as close to normality as they were ever able to experience. Enrico and Chiara had longed simply to be a ‘normal’ family: having a child in their home, being with other mothers and fathers, having their first excursions as a family, the sleepless nights even …It was a precious time; it proved to be borrowed time. The tumour was malignant. There was little that could be done. After time in hospital, it became clear that no treatment was ever going to work. Finally, medical staff took Enrico aside to apprise him of the situation. Now it was left to him to tell his 28-year-old wife. He tried to compose himself as best he could before gently taking Chiara to the hospital’s chapel. It was there before the Blessed Sacrament that he broke the news to her… Eventually, they embraced each other and then repeated their marriage vows. She then made him promise one thing: she did not want to know how long she had left; she wanted to live in the present with whatever time was given her with her husband and child. It was the Wednesday of Holy Week. It is impossible not to be moved by the story of Chiara Corbella Petrillo. One life, however short, can make a difference; this is so clearly proven in the case of this incredible woman. It is jolting and indeed sobering to realise that the events that the book recounts happened so very recently. Her story has an epic quality, so full in so many ways, and yet it is a story for and of our times. It is one that teaches us much about love, marriage, children, family, and of what it means to live choosing life in the face of a culture fixated on a mistaken notion of death as a solution rather than what it was to prove in the life of this young woman: a gateway. The final section of the book contains an incredibly moving document. It is a letter to Francesco to mark his first birthday, one of the last that Chiara wrote. A written testimony of the love of a mother for her son – one not yet old enough to understand, but one for whom she had deprived herself of so much so that he could live, and whom now she had to entrust to others to raise and care for. You’ll have to read that for yourself, however, as I cannot bring myself to scribe it. Editor’s note: Chiara Corbella Petrillo: A Witness to Joy is available as a paperback and ebook from Sophia Institute Press.